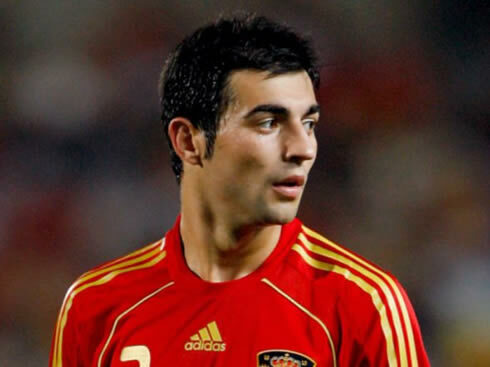 ﻿ Raul Albiol: "Players like Cristiano Ronaldo appear once in a lifetime"
07.04.2012 » Raul Albiol: "Players like Cristiano Ronaldo appear once in a lifetime"
Finding a player as complete as Cristiano Ronaldo can really be a tough task. Raúl Albiol agrees with the idea, as he believes that it won't be easy for anyone in a near future to combine all the qualities the Portuguese player has. Albiol confessed to be delighted for playing in the same team as Ronaldo and he expects his teammate to extend his goal scoring saga in the remaining games of the season. Real Madrid's 26 years-old center back, Raúl Albiol, granted an interview to bwin.com this last Friday and gave big compliments to his teammate, Cristiano Ronaldo. The Spanish defender stated that players of CR7's breed are hard to find and that it will be a long time until someone as talented as him come up in the football scene. 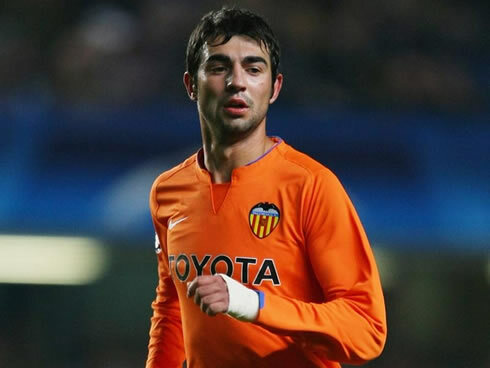 Real Madrid is preparing to host Valencia CF this Sunday night, precisely Raúl Albiol's previous club. The defender shared his thoughts on what the Merengues can expect from this game, as he predicted a very difficult clash but necessarily a must-win fixture. Seated in bwin studios, Raúl Albiol didn't hide his satisfaction for being able to play in the same team as Cristiano Ronaldo, as the question popped out. 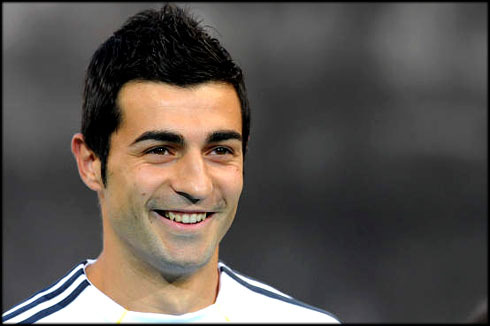 With a smile on his face, the Valencia-born player started by disclosing his admiration for the Real Madrid's super star. Raúl Albiol: "As everyone can imagine, it's very motivating to have Cristiano Ronaldo on the team and being granted with the opportunity to train with him everyday. He's an unique player! It will be a long time until a football player like him comes out in this sport. Having Ronaldo playing in our side really helps us, because he scores plenty of goals every single season and that allows the club to easily reach its objectives", remarked the Spanish center-back. When asked to comment about the team's ambition and hopes for this season, Raúl Albiol had no problems in revealing that his side are aiming at winning both La Liga and the UEFA Champions League titles. Albiol: "We're very ambitious and we want to win the two competitions that we're playing for, the Champions League and the Spanish League. It's been a long season but we need one last effort from everyone and I hope we can do it", said the 26-years old. Raúl Albiol: "There's a phenomenal atmosphere in the dressing room. There's a great feeling of companionship between everyone. You can note that just by watching the team playing on the pitch every week. If that wasn't true, then things wouldn't be working as well as they've been. The way we've been scoring goals and the effort every player puts in for another, it's definitely one of the key factors that makes this team so strong", noted Albiol, despite having only played in 6 La Liga games throughout this season. 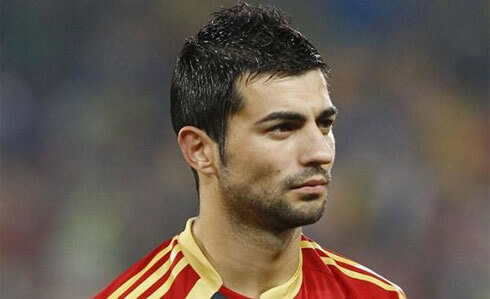 Raúl Albiol will have to face his former club Valencia this Sunday night, as they visit Madrid to take on the Merengues. Currently ranked 3rd in La Liga, Valencia is surely one of the best sides in the league and they won't make things any easy for José Mourinho's men. Raúl Albiol: "The most important thing will be for us to pick up the 3 points and have a good game at home, in front of our fans. It's going to be difficult because Valencia have been through a harsh period over the last few weeks, so they'll need to shift things up. They are playing for 3rd place and they have the habit of playing well at the Santiago Bernabéu. We'll have to be careful, but having in mind that we'll play at home, we have to win no matter what...", alerted the former Valencia player when previewing this Sunday's game. 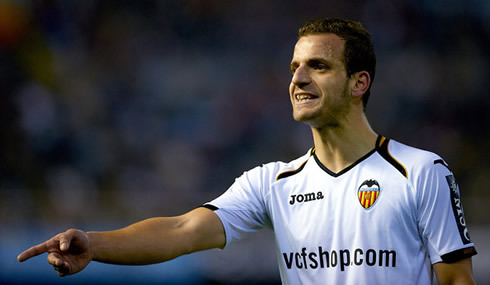 Regarding Valencia forward, Roberto Soldado, who is targeted as one of the biggest threats for Real Madrid this weekend, Raúl Albiol confirmed he'll be a player that the Merengues must keep under their radar. Albiol: "Soldado is a very difficult player to mark, specially in the box since he is a true goal scorer and any ball in the penalty area can turn out to be a very dangerous one. I've known Roberto Soldado since we were kids and I know that as a defender, we have to be very focused during the entire game in order to to stop him efficiently", pointed out Real Madrid defender, even though he's not likely to be a starter in Real Madrid vs Valencia. Real Madrid next game is for La Liga, against Valencia, this next Sunday (08-03-2012). You can watch Juventus live stream, Real Madrid vs Valencia, Zaragoza vs Barcelona, Liverpool vs Aston Villa and Sunderland vs Tottenham, all from our football live streams section. Cristiano Ronaldo is expected to be a starter when Real Madrid hosts Valencia, this next Sunday.